1 OF THE MOST UNIQUE & SOPHISTICATED PENTHOUSES TO HIT THE CHICAGO MARKET! GUT-REHAB by Chris George Interiors, took OVER 1 YEAR TO COMPLETE! No expense spared, custom floorplan, new electric, plumbing, sprinklers! LUSH PARK/ RIVER VIEWS FROM EVERY WINDOW! Oversized 12x12 PRIVATE ROOFTOP with JAW-DROPPING SKYLINE VIEWS! Dramatic 2-story living room with floating staircase, custom electric floor-ceiling Kravet drapes, Artimede 7' suspended light fixture. ITALIAN ARRITAL KITCHEN with porcelain counters, floating Italian hood, Subzero, Dacor, Wolf. 3rd bedroom/ office with en-suite bath overlooks the living room from wall of SAPPHIRE GLASS! 20' master with sliding glass closet doors, custom organizers, designer fireplace! Serene master bath w/ HEATED ITALIAN PORCELAIN FLOORS, air jet tub w/ Fantini waterfall tub filler, steam shower, body sprays! Extreme attention to detail! 2 XL Garage $35k/ space. RARE OPPORTUNITY, HOMES OF THIS CALIBER RARELY COME ON MARKET! 600 N Kingsbury Street #1906 Chicago, Illinois 60654 is a condo property, currently listed at $1,200,000. 600 N Kingsbury Street #1906 has 3 bedroom(s) and 3 bath(s). 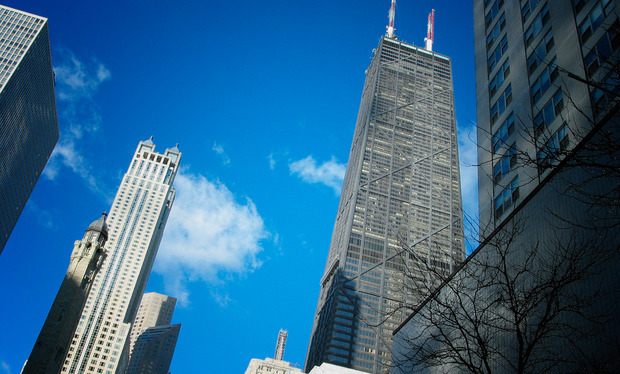 Want to learn more about 600 N Kingsbury Street #1906 Chicago, Illinois 60654? Contact an @properties agent to request more info.